With the Material Editor you can change any material used by a 3D Object. A material is a set of textures allowing you to produce awesome effects such as specularity, glowing or transparency. Materials can also be animated and produce specific sounds on impact and footsteps. 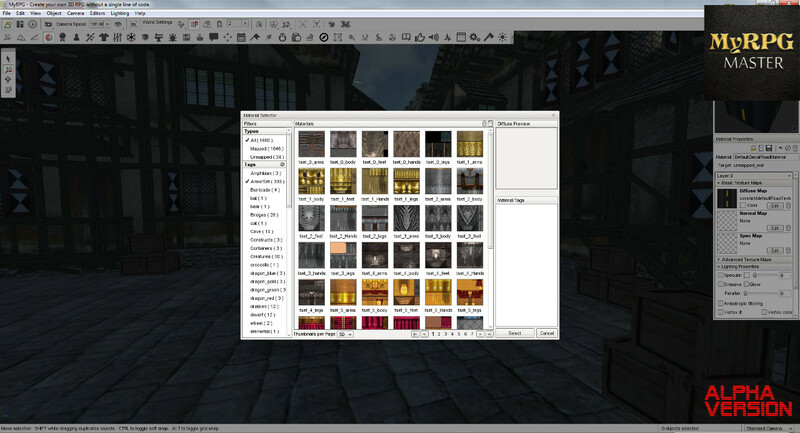 Each object within MyRPG comes with their own customizable materials.